NBA Ball and Other Unrelatedness basketball columnist, goofy-looking kid, and lover of tea Hype is looking at one NBA team each day in just about an hour for the whole month of September. He wrote this in 15mins because something shiny caught his attention. Alright, so there really isn’t that much one can say about a team just going into their 3rd birthday.. 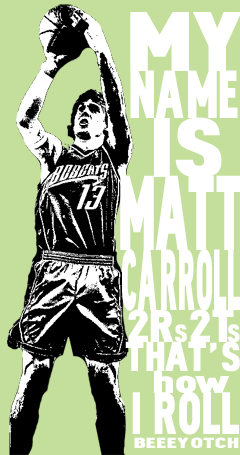 But know this: I did not watch one single game of the Bobcats, ever.